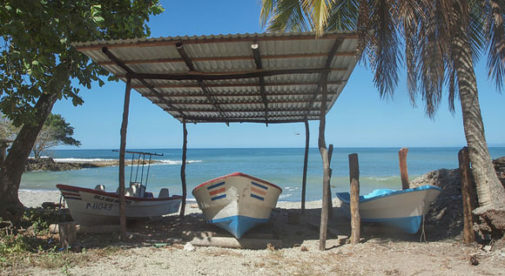 As a busy carpenter and contractor in his native Canada, Steve Quinn relished his regular trips to Costa Rica to relax and unwind on the beach. After six years of short visits, he decided to make this beach lifestyle permanent. He took over a beach bar and restaurant in Tamarindo, a funky surf town on the country’s northern Pacific coast. He’s leasing the property for three years, with an option to buy, which is a great way to test the waters without committing to purchasing property right off the bat. Steve had no previous experience in hospitality. But to live his dream, he has learned on the job during his first year in business. And he’s enjoying every minute of it. El Pescador is at the far southern end of the town’s main bar/restaurant strip. Anybody can do the same on beaches around the world, from the exotic white sands of Sihanoukville in Cambodia, to the classic Caribbean vibes of the Dominican Republic, to the rugged southern coast of Nicaragua, all while enjoying a tropical climate, low costs, and the fun of working on the beach. But to be successful you must keep in mind the elements of any good beach bar. Location is all important. You want a place with consistent tourist traffic, your main source of customers. Real estate costs, for either buying or renting a property, should be reasonable. There are some great, up-and-coming places around the world which are just ripe for beach bars at the moment. It can be tempting to make your beach bar special by offering the best Champagne or a gourmet menu, but the best way to ensure you stay in the black is by keeping things simple. The beach, by its nature, is casual and fun so you can keep that colorful, laid-back tone in your place. Stick with food that’s easy—and cheap—to make, like pizza, ceviche, fish sandwiches and that sort of thing. Portions can be light. No-one eats heavy meals in the heat anyway. Go casual with the décor too. Make it unique but don’t spend thousands on high-end furnishings and a bunch of huge TVs. It’s amazing what can be achieved with a few cans of paint and a little imagination. Look around at the competition and see what simple features you can add to make your bar stand out. With tourists being your main customer base, it pays to know what type of visitors are coming and how sharply numbers rise and fall. Ask local merchants, hoteliers, and restaurant/bar owners for the scoop. You can only expect a sprinkling of expats and locals…but nurture the few who pull up a stool at your bar. You’ll be glad of their custom in the off season. Today’s traveler is online before, during, and after their vacation. Using sites like TripAdvisor, they’re planning where they’ll go before they get on the plane. So be sure you’re listed. Set up your own website, even just a simple one with your address, menu items, and reviews. Your customers may very well refer to it on Facebook or Twitter. Your profit, once things are up and running, should be from $2,000 to $5,000 per month. A beach bar is a business…but it’s also a unique way of life. You provide your customers memorable experiences, while sharing in the fun yourself. Here’s to you and your beach bar dream.